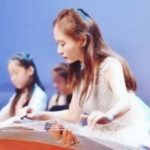 All of our Chinese instrumental music teachers are well-studied, with years of teaching experience. They are also effectively bilingual in Chinese and English! Great arrival time and in good condition! Everything arrived as ordered and no damages were present. I am totally satisfied with my order. Thank you! I effectively received my command within the deadline you gave when I bought the product. I am satisfied with the crafting and the sound it produces! One minor flaw I'd like to say is that I first ordered a xiao in the G key, but I received one in F which I find harder to play. Nevertheless, I'm having a great time playing this instrument. I had a wonderful experience ordering my zhongruan through Eason Music Store. Sung Wah's customer service was excellent, and the instrument arrived in perfect condition. I'm very happy with my purchase, and will definitely be a repeat customer. Thanks Sung Wah! Thanks to Eason for fine service and advice. I was a little worried about ordering an instrument from so far away, such as if the instrument would be damaged during shipping, or if I wouldn't be able to easily get a hold of customer service with issues if they arose. But it was a totally easeful experience ordering from Eason Music, and when I had questions or concerns, I was met with very present, thorough, and genuinely friendly customer service. When I received my erhu, it was in perfect condition, and came with everything I would need to begin learning (a nice case, rosin, an extra set of strings, and more...), and wow does it make it so much easier to learn a new instrument having everything you need to get started. I picked it up very quickly and am so enjoying getting to know this gorgeous instrument. If I was not given the things that Eason generously included, I could see it being quite frustrating for a total beginner like myself and may not have continued on when hurdles arose. One of the strings broke due to my unfamiliarity with tuning the erhu, but voila, I used the spare set of strings and got to learn how to change it properly via erhu instructional videos on the internet, and I was back on track right away! If my order had only come with the erhu and nothing else, it would have been difficult for me to quickly find the proper strings and I could see myself just forgetting about it. What attracted me to purchase from them in the first place is the helpful warmth of their website, and the free instructional videos they generously put out for the instruments they make. I thought, "Wow, you're not just selling products, you want people to enjoy these beautiful instruments to their fullest." They are truly passionate about their craft and operate with integrity, and that is something I really appreciate. I am so impressed with Eason in all ways, and cannot say enough about how positive my experience was with them; even when ordering from the other side of the world! I will definitely go to them for any beautiful instrument I need that they offer. Thank you Eason! Keep doing what you do so well! I would just like to say the Eason has treated me with utmost respect. Very prompt and cannot do enough taking care of me as a customer. Have had only one issue and not the fault of Eason Music. Was/is a mailing issue..
Products are very good quality and usually available when ordered..
To be honest there is absolutely nothing to badly to say. Personally I think Eason is awesome as a business and also costumer relationship. They can not do enough .. Thanks to all the staff at Eason. Very high quality of service and advice. As it was the buy of my first erhu I had a big lot of questions and Sung Wah answer to me with a lot of professionalism and kindness. This erhu is a very good instrument. Thank you very much Sung Wah. Superbe qualité de service et de conseil. 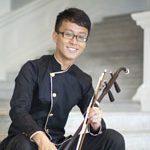 Comme c'était l'achat de mon premier erhu que j'ai eu énirmément de questions et Sung Wah m'a répondu avec beaucoup de professionnalisme et gentillesse. Ce erhu est un très bon instrument. Un grand merci pour tout à Sung Wah. My order arrived much sooner than expected. Intact and all correct. It was only a low value item but this was good service. Excellent. The delivery was a little bit longer than planned. However the product was perfectly packed and conform to my order. Excellent service. Questions answered. Dizi arrived on time and in perfect condition. Top-notch costumer service, incredibly understanding. The Erhu is beautiful, and well taken care of. Came with a bunch of replacement parts, which I HIGHLY appreciate. Thank you guys for providing a reliable source for such fantastic instruments. Fabulous service. Very quick, efficient and customer service second to none. Would love more ruan accessories: music books, instruction books, DVD'S. Thank you. I have received it. However, they were bent during delivery, and now it is quite difficult to make them straight again. Otherwise, they are still in good condition. Thanks. thanks for shipping the ERHU Equipment. I ordered fine tuners, a mute, and rosin for my erhu. 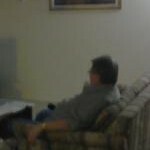 I was very pleased with the quality of the products and the prices. The rosin, in particular, was much cheaper than Amazon's price. My son has been taking online Erhu lessons for two months now. It has been excellent.We can learn at home without driving some distance to the teacher. Teacher Sarah is a very patient lady. She knows my son's level, and what he likes to play, then teaches him accordingly. The only possible concern is that you need a good internet connection. I bought some xiaoruan strings and I am very pleased, they arrived a lot sooner than expected and were very good quality. Well, how do I even start? I've always had a huge insterest in chinese culture, one thing led to another and thus started my passion for chinese music and it's exotic instruments. Being from Brazil, there were no means of fulfilling that new endeavor since there are absolutely no chinese music stores here. After doing some research I've stumbled upon Eason's website, and decided to give it a shot, even tough I was very wary at first, being my first time ever ordering an instrument online. Right now I cannot express enough how I rejoice my decision on doing so. Apart from the perfect customer service, helping me (and still doing so) with every question I had, and even going as far as making a video so I could have more sound samples on the instrument I was going to buy; the instrument itself came faster than I expected and it was of a quality far superior than I, in my most optimistical thoughts, would have guessed, being complimented several times by a (more knowledgeable) luthier friend of mine. Therefore, if you, like me at first, are preoccupied of what kind of instrument you are going to get with this website, don't be. As a zhongruan, dizi, hulusi and now (soon!!) xiao proud owner, I could not recommend this website more, rest assured that you will get the market's finest and one of the best costumer support I've seen! My name is Javier from the country Chile. My experience of taking a class with Eason Music via Skype helped me a lot. In my country there is no teacher of Pipa. I did the beginner level and it was excellent. I was immediately assigned to Teacher Cheah Xueqi. She's great. She knows a lot, he plays very well, sent me material via e-mail and was very patient with me. She is fluent in English and that helps at all. The schedule is flexible. They are sympathetic with one. The connection was excellent by Skype, and I recommend it. Soon I'll be at the next level learning with them. Thank you very much to all Eason Music. I started to do Dizi lessons over skype and I must say that I am enjoying every lesson and do not regret taking lessons over the internet. At first I was worried but it turned out better than I expected. The lessons have helped me greatly from getting the right embouchure to understanding the rhythm of a music. The teacher is very good, pinpointing the things that need improving and being patient with me when trying to learn a music piece. When learning the dizi over skype I can see that it is perfectly fine to do rather than having to travel to learn the instrument. Especially if you are living in a place where there are no teachers to teach Chinese instruments. To conclude, if you love the dizi and want to learn this magnificent instrument professionally rather than teaching yourself and making bad habits than I suggest you take these online lessons. With how much I am enjoying the lessons, the erhu might be my next instrument on my list. Really good prices, and communication with the shop is impressive. Everything arrived in great condition well within the desired delivery window. Eason Music contacted me sevral times and made sure I was aware of the latest status of my order. I was satisfied and impressed with the entire process. All is well. New erhu bow arrived safely and timely. I just bought 2 Professional Beijing Bows by Li Huai Gang. Fantastic bows and great value. Thank you very much for looking for and finding such high quality items and offering them to your customers at such reasonable prices. I have been buying my erhus and supplies from Eason for close to 10 years now and I have always been delighted by the products, communications and support services. Eason is the best. I ordered my hulusi a week before Chirstmas. I was a bit worried that the shipping would be a bit delayed since mailing before and during Chirstmas is pretty hectic, but my hulusi came in right on time! It was in very good condition and Eason Music Store is a reliable source to buy instruments from. I would definitely recommend others to buy from them! Thank you so much! I have just received the concert "C" flute I ordered on 23 Nov. It arrived beautifully packed and in excellent condition. It was accompanied by basic instructional videos which I hope to see ASAP! 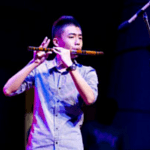 The assistance and service I got from "SW" at Eason Music was most helpful and I would have no problem in recommending Eason Music to any budding flute player. I am very, very satisfied of the careful attention and excellent attitude that Mr. Tan Sung Wah supply for the customers. The flute that I'd ordered is exactly the same as it was described, the quality is supreme and was delivered faster then I expected. My order arrived in record time !! Excellent quality, professionalism and honesty!, can trust !!Thanks!!! Congratulations to the staff of Eason.O service is excelente.Sungwah meet you and reassured with their professionalism! The staff is full confidence! Many thanks to Eason! This store is great, it is the only way to get high-quality chinese traditional instruments. Definitely, if I was rich... I would buy a lot here! For now I have bought a dizi, a hulusi, a ocarina, and erhu strings. Although I have some problems with the hulusi, it works, and sounds nice! Other instruments are okay, and soon I will replace the erhu strings for the new ones bought in Eason and can't wait to listen how they sound. They usually answer your mails and the delivery is fast (the part Singapour-Spain went fast, the Spain-home was slow, but it is not Eason fault! Take care if you live in Spain). Definitely, is a place where I will buy more times. great assistance through the time even before i'v purchased Eason's product. i'm very satisfied with how Mr. Tan Sung Wah responded&enlight me with every consultation. i must say, i would stray off without his patient assistances. thank you Sir. have a lot success on your store&school. The store has excellent products and sellers are very attentive and ready to solve any problem.Recomend to all who wish to acquire Chinese instruments! Congratulations to all the staff Eason! This may be my first international purchase and I am extremely satisfied with the blend of professionalism and personal communication I have experienced with Eason Music. The Erhu I ordered was better than I expected and suffered zero damage from the journey. I received the item on-time and in perfect condition. It was packaged with great care. I typically play Bansuri and I am very impressed with the overall quality of the Dizi that I ordered. It is even better than I had expected. When I buy my next Dizi, it will be from Eason Music. Recently, I was looking to buy a new erhu because the one I had been learning on was old and very poorly made. It was time for me to get a good quality erhu, but since I live in the USA there are not that many places to conveniently purchase one from. Also, my teacher had told me to beware of knock-offs (she had purchased hers directly at the factory in China). I e-mailed Eason Music and told them what kind of sound I was looking for in an erhu. The owner gave me a few suggestions, and over the course of a few weeks, we e-mailed back and forth many times. Each time, I would ask him to make a video either of a particular erhu, or a comparison of different erhus that I was interested in. By this time, I had found someone in the US that I could have potentially purchased one from, but that person was very unresponsive and unhelpful over e-mail. Meanwhile, Eason Music was bending over backwards to make sure that I got an erhu that I was completely satisfied with. After a while, I felt like I was being kind of a pain asking them to do so much, but the owner was extremely nice and was always glad to help, telling me to feel free to ask him for more videos if necessary. As a result, there was no question that I would give my business to Eason. Eventually, with the help of the owner's videos I was able to narrow down an erhu that I wanted, and I purchased it. I received the erhu within the expected timeframe, and I am very pleased with it. I have to say that the level of customer service that Eason Music provided was above and beyond what you would normally get anywhere else, in any type of store. 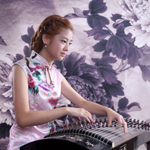 If you are in the market for a Chinese musical instrument, look no further than Eason Music. You will not be disappointed. At first I was concerned that the mouth piece was not in line with the finger holes--but the dizi was excellently in tune. Only one problem, there is a crack running from the blow hole. I covered with tape--which helps the tone. Other than that the dizi is what I expected. Good starter instrument. I am so very pleased with my new Bawu. Such amazing tone and play-ability. I knew it was going to be a good buy! Thank you so much!! Great cymbals - lovely sound and will work wonderfully for our upcoming percussion ensemble concert! It took a little long but when my order finally arrived I was very pleased! The quality of the instrument is very high and I expected nothing less. I'm really happy with the flute you sent. It arrived in good order and condition with dimo membrane and er jiao. I feel our business was conducted in an open and efficient manner. Excellent service and product from Eason. I only ordered strings for my Zhongruan but will soon be purchasing a Gao Yin Ruan. After my pleasant experience with Eason, they will continue to be my go to store for anything in Asian musical instruments. Greatest Picks Around! Thanks for everything! Just wish the shipping was a little faster. Still...exactly what I hoped for. My erhu and all other materials arrived in perfect shape and Sungwah was in contact with me the whole time to make sure the order shipped properly. Many thanks to everyone at Eason for a great experience! Hi there Mr. Tan Sung Wah! I received the package sooner than I expected... yes.. it was almost a month ago, but I forgot to come and write about it. I'm very happy and pleased. It is a very good instrument and I simply love its sound. Thank you and your employees for doing such a great job and making people/musicians happy :D. Have a nice day and wait me for my next buy ! I have purchased many products from Eason Music and have been VERY satisfied with every purchase. I would recommend this site and store to ALL my friends!!! Absolutely awesome! I was so excited to receive my YKM3 erhu. It was perfectly adjusted and I could play from the moment I opend the case! The tone is just as I wished to be. Warm and sweet, clear and also responses very well. I've been fiddling with her everyday. It was useful for me to see your youtube movies to compare the sound of each erhu models before purchase. Your follow-up e-mails were also very helpful. It was a good choice to make a purchase at your store. Exactly as described. Very pleased! Amazing flute, thank you very much. It has a beautiful sound and design. Well done. I'm satisfied with your service and products. Incredibly quick, reasonably priced, and exactly what I ordered. Eason Music was a pleasure to do business with. I will shop with them in the future. Ana and Tan are very knowledgable and helpfull. Good instruments, great service. I bought a G key xiao by Dong Xue Hua. Unfortunately, the instrument initially arrived with slight damage. However, the return and replacement procedure was straightforward. The xiao I received in the end is an excellent instrument. As handcrafted products, musical instrument selection is often a hit-or-miss affair. This is especially so when you buy an instrument you have not seen and tested in person. However, Eason Music's great service takes much of the uncertainty and guesswork out of buying musical instruments. Rest assured that you are in good hands. Thank you, Sung Wah! May you continue to bring the joys of Chinese music to all corners of the world. Thanks a lot for the high-class erhu bow and the nice erhu case, I am perfectly satisfied with my purchase. Great to know that there is a reliable source where you can get everything about traditional music! We received our instrument (a dizi flute) and all is all right. Very pleased with the service and the constant update as to the recipt of my order and when it was shipped. The after sales follow up is superb. I am extremely happy with the service and the goods I purchased. We were happy that we were able to find the strings and parts we needed and have them shipped to us so quickly! I am very pleased with the picks I ordered. I recently purchased an Erhu from you.I just wanted to let you know that I am very satisfied. Not only with you'r service,but with the Erhu itself.I will be shopping with you in the future,and I will recomend your company to annyone who I think you can help. The tuners work great, are exactly what I purchased, same with the string I bought, Will continue to buy from Eason as its pretty easy to buy from Eason. Your service is always prompt. 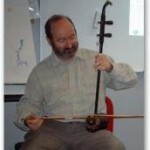 I recently found a teacher for the erhu and hope to start lessons with him in a few weeks. Looking forward to it. I would like to say thank you to the good people at eason for offering some amazing flutes at an affordable prices. The videos they have made to educate those just starting out, like myself, have been a great help. I have been very pleased with everything I have obtained from Eason. The best thing I received from them was the name and contact information of my erhu and pipa teacher. I am happy with the product I bought from Eason Enterprises.Im looking forward to buying again from them.5 stars!! Wonderful picks !!!!! Will need some more but will have to discuss other shipping options!!! 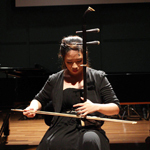 Great instrument (Erhu)! Great communication! Seller is a music lover. Will do business again. Communication, accuracy, and product are all fine; shipping fast. Recommended. I purchased an Erhu, and it came in magnificent condition! Setting it up was easy, too, thanks to all the videos and support offered from this website. I'm incredibly happy with this instrument, and I plan to buy any other supplies I may need from eason. Great product quality and very fast shipping! Nothing to complain about. Thanks so much for your quick, friendly service. My son brought me a Zhongruan from his recent trip to Shengdu; What a surprise. I can already play it "BLUEGRASS STYLE" sort of, but do not have much access to Chinese style music here in the backwoods. Anyway, I wanted spare strings, etc, and was happy to see that you carry reasonably priced accessories. Quick shipping too ! Thanks so much for your friendly service. Briliant, Fast Delivery and was perfect! Thank You very much, and will definitely use again when I need anything else for my Erhu. Very satisfied with my purchase. Received my order quickly. Thanks! I have 3 dizi flutes and 2 xiao flutes from Eason and all made by Dong Xue Hua. All flutes are amazing and of perfect quality. I would not buy my flutes from anyone else but Eason. Guaranteed superior quality every time. Thank you Eason. I will adding more to my collection soon. So far, I've bought an erhu mute and a tuner/metronome from Eason. It's been exactly as described, arrived pretty quickly and worked splendidly. Definitely my first port of call when I need erhu accessories. Hey (; the ruan is great. I cant stop playing with that. Very cool sound and very rich harmonies. Thank you very much and be sure ill try your other instruments in the future. Cheers! Everything is good and service excellent. My dizi is amazing, the quality is great, it sounds amazing, and it was easy to take out of the box and play straight away. For the price, this was an excellent purchase. Thank you for the Hulusi. Very nice quality and sounds good. Both of our orders from you have arrived in a timely fashion; especially considering the distance from which they're shipped! My son is enjoying trying to play his erhu! You sent the right articles and you sent them on time. Thanks. This might seem a little bit silly but the belt clip that I purchased recently has inspired me to take up erhu as a serious instrument. I play several instruments fairly well but I want to have that same ability with an erhu. My erhu sounds very better with your advices. Thanks for your communication and best regards. Hi, I have received them in good time and they are working well. Thank you. One month ago I bought a low G dizi by DXH. I'm very satisfied with the service and the instrument. Mr Tan answered quickly and precisely to all my questions. Shipping was very fast. I taught the EMS shipping. It's more expensive, but you get an excellent service for your money (the transport taught only 3 days from Singapore to France). The flute is wonderful. It is easy to play and has a very accurate intonation. It also looks beautiful (maybe it is not the most important point, but it is pleasant too)! So, I highly recommend Eason music! I'm very happy to be in touch with such serious and helpful people! Thanks a lot! Fantastic service, would definitely recommend. Hello Ana, I have received my erhu and all is perfect. I am totally satisfied. Thanks for all Yves. I am very pleased with the product! Beautiful flute. And a nice cover with it too. It was a pleasure doing business with Eason. Speedy delievery and excellent service in general. Will shop here again. I appreciate the email message notifying me that my order had been shipped and requesting that I send a message upon receipt of the package. Items were as expected. The erhu lessons are wonderful -- I have learned a great deal in a short amount of time. First time I have used Eason, and I highly recommend them. Excellent services with good customer communication. I will be using them again without hesitation! I have ordered several beautiful flutes from Eason and have been happy with them all. I will continue shopping with Eason in the future. Great products and service- I highly recommend these guys for all your traditional instrument needs. I received two orders, but it took a long time however I got the order and tune up my Erhu, thank you. Shipping on time, items in condition as listed. Great service, I am completely satisfied and will be ordering again soon! Great service! Fast shipping and perfect strings for our Pipa Guitar. I am very satisfied about my order at Eason. I ordered a dizi flute and everything was delivered to me in perfect state. I was also glad everything I needed to get started (the special paper and glue stone) were included. Thank you for fast service! Great service, product arrived as advertised, in great condition. Would definitely use again. My Xun arrived, well packed and in a nice box. It is a lovely instrument. Thank you! They say first impressions last! Well my first purchase recently was a very enjoyable. Description of product and follow up service regarding satisfaction afterwards was first class.I hope to do more business in the future. I would certainly recommend them to anybody. The flute is fantastic! However, the delivery went to the billing address not the shipping address. Inspite of this error I would use your company again and am very glad yo have found a supplier of traditional Chinese instruments. Very satisfied with my purchase! Everything appears to be of great quality and works well. Excellent and responsive service on my order for Erhu bridges and strings. Was surprised and pleased to find the online videos that helped us set up the Erhu received as a gift. I have ordered twice from Eason Enterprises, and each time the service was perfect, the delivery time was less than expected (considering that I live halfway around the world) and the products were exactly what I needed. Sung Wah was very prompt in answering my emails and he helped me select the best product for my needs. Great service and timely shipping. The two packages have arrived and are exactly what we were expecting. Thank you very much for your prompt response to my enquiry and the excellent service. Hey guys,these are the absolute best guitar picks I have ever used & I have been playing for 39 years. Keep up the good work. I received my flute in good time and am very happy with it. I still can't make a sound though! Eason really cared to make sure I received my dizi. It was excellently and securely packaged and protected. I love it and am so excited to play for friends and family! I'm very happy with my last order. The item arrived very quickly and in perfect state. It is beautiful! It took longer than advertised (4-6 working days), it actually took 11 days. But it came a long way so I can accept that. the product is very nice has a great sound and is going to be well loved. Maybe the only thing lacking is a translation of the poem inscribed on the head. Hello, I received my dizis in a short time. They are fantastic, I like them very much and they sound beautiful. Your service is very good, you give me information all the time (when I send the order, when you send me the package, when I receive it). Thank you very much. You have a great service. The product I ordered arrived in the time promised and was exactly as described. I especially appreciate the ongoing contact during the order and shipping process. The items came in great condition and in a very timely fashion. Exactly as described! Thank you for great customer service! I love playing my new dizi! If you're thinking about buying from Eason, you should do it! They have great prices and shipping was much faster than I thought it would be! When I advance in my skills I will definitely choose Eason for a professional dizi. 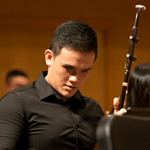 Eason Music helped me purchase my first Chinese instrument - a dizi. All my email questions were answered promptly and their expertise guided me to an instrument just right. My flute arrived promptly, in good condition. I look forward to my next purchase at Eason Music. all arrived in perfect condition as advertised. the rest is down to me...! thank you for offering a quality product that i can afford! I ordered a low pitched dizi from Eason. Shipping took longer than expected (about a month), but the dizi came in good condition and I was pleased with its quality. I'd bought from Eason an erhu (二胡)and a gaohu (高胡)made by Master Wan Qi Xing. They sound so beautiful that I would play for hours. The communications were good and the delivery was fast. 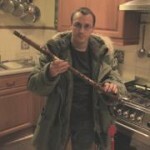 I highly recommend Eason as your musical instruments supplier. Nothing to complain here, Sung Wah took all the time to answer my questions, my doubts. The erhu (while very hard) is absolutely beautiful and all the accessories are wonderfully prepared. For the import, those in Belgium should consider that there's a fee to pay once it comes into the country (for my erhu I paid 60 euros for it but that's kind of part of the deal). I was very satisfied with everything I purchased from Eason. The music teacher told me she had played the flute, and it sounded wonderful. Our students have enjoyed learning about musical instruments from other countries. Thank you very much for the dizi I ordered! An awesome instrument...easy to play, incredible sound, and very easy to adhere the dimo! Excellent craftsmanship, a beautiful instument all around! Thank you very much again! Eason has consistently provided quality products and great customer service. They are a truly professional company in every way, and I plan to make them my source for chinese instruments in years to come. YEAAAAAAAAAAAAAAAAAAAA!! My China gongs are MAGICS!!!!! Thank you so much for the pipa strings, my son was so happy to get them. First, I would like to thank you for the quickness of the sending: I received my order 7 days after your message. Next, this erhu book is truly perfect. Unfortunately, in FRANCE, it's not easy to find books or partitions about this instrument, so I'm very happy to have discovered your online store! I ordered the "Turtle Shell Pipa Nails" and "Professional Dunhuang Pipa Synthetic Nails". I have just received them without any problem ! They are perfect for my hands ! I am very satisfied with my purchase. I intend to purchase more products from Eason. The shipping from Singapore to the U.S. was very fast. But, it took about 4 weeks to receive my order, because of the U.S. customs. I'll just have to be more patient with my next order! The Dizi bamboo flute we purchased is nice quality and sounds beautiful. My daughter learned to play some on it in just 2 days. It took a while to get here- about a month- but that may be due to Christmas mail service being slow. Overall, Happy with our purchase. Quick response, professional handling, informative service. It was a delight. Thank you. Back in Japan, I am enjoying playing the YKM's aged rosedwood erhu I bought this year and the black sandalwood erhu I bought from you some years ago(Wan Qi Xing). Both erhus have quite different sound, different joys to me, which is irresistible! Looking forward to visiting your shop next time. Having had some experience buying from a competitor, it's clear that Eason is much the best supplier to an erhuist in the West. Instruments and accessories are excellent value, shipping is cheap and quick, and Tan Sung Wah goes out his way to be helpful. Perfect service and perfect instrument. The synthetic erhu sounds good and clear as traditional erhu. It is also cheaper. I was very pleased with Eason enterprises' products and service. They provided me with items which I just could not find where I live, and at a reasonable cost. Thanks again to the folks at Eason. I am very satisfied about the quick delivery and the quality of the items I have bought from your shop. I am sure I will buy more instruments from yours. I receive in perfect condition my order, it was a pleasure work with you. My experience with Eason Music was excellent! They were very helpful through every aspect of my purchase. They understood exactly what I needed as a professional musician. They stayed in constant contact with me, answering every question I had, while helping me to find the perfect instruments. They tested different instruments for me, video taping as they did, so I could hear and see that the instruments sounded good and had good intonation. My order came very carefully packed and in great order. I would definitely use this company again and would have no hesitation in referring others to them. I am very satisfied with my purchases from Eason! I purchased a wonderful dizi (Exquisite Master Class C key Dizi by Dong Xue Hua) and an excellent bawu for my boyfriend. In particular, the dizi has an incredible sound! I love it! Eason is one of the few stores to offer a prompt and complete communication with customers. I have recommended to my friends! Sono molto soddisfatta dei miei acquisti presso Eason! Ho acquistato un meraviglioso dizi (Exquisite Master Class C key Dizi by Dong Xue Hua) e un ottimo bawu per il mio fidanzato. In particolare, il dizi ha un suono meraviglioso. Me ne sono innamorata! Eason ?? uno dei pochi negozi che offre una pronta e completa comunicazione con i suoi clienti. L'ho raccomandato ai miei amici. Grazie! Buon Natale a tutti voi! My liuqin arrived very quickly (sooner than expected) in the state that I can expected. The instrument plays beautifully, and I am very pleased with it! Always excellent service and products from Eason Music. Never any problems. I have recommended your company to my friends. Good instruments , Good treatment and Good people of the eason !!! I've bought a bawu in F. I've received it very quickly. Very good communication and amazing instrument. It's the second product that I buy from Eason, and what I have to say is: thank you. Everything worked as expected, from the transaction to delivery at my very home. Please continue your good work! All went well. Thank you!! Thank you for your prompt service. My daughter was tickled pink with the strings, pipa nails and hammer for her hammer dulcimer. She gets all her Asian instruments and supplies from your company. Great dizi! Beautiful sound and nicely made. Hello! The was better than I could ever have expected. The tone is great and playability are great, and intonation is very good. Hole spacing was also better than I expected. I can't wait to buy my next dizi from you. Thanks so much! Very prompt delivery. Excellent customer service and communication, and the two dizis play superbly- warm sonority and very good intonation. Transaction went smoothly and with satisfaction. The Hulusi has arrived, thank you very much! You did it again: The musical & physical quality of your instruments is amazing! I'm very happy. I recently purchased a bawu through Eason, and when it arrived, I found everything in order. The flute was in excellent condition and plays very well. I plan to purchase more Chinese instruments through Eason in the future. Eason promptly shipped out my items soon after making my purchase, they arrived safely in a timely manner and were followed up by emails to ensure my satisfaction. The item was as described and I have put it to good use. Great store! I will be back for more supplies in the future. Thanks! A very, very friendly service. I will definitely be using them again! Purchased full set of strings for my Liuqin. Reasonably priced and I received then within a few days of buying them. Great service I recommend buying from Eason. I had heard a lot of good things about Eason before I ordered my LiuQin, and I wasn't disappointed. The instrument arrived surprisingly quickly and is excellent quality, and all my email enquiries were answered promptly and in a friendly manner. 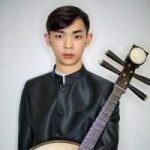 I certainly plan on buying a number of other instruments from Eason in future, and will recommend them to others I know who are keen to learn a Chinese instrument. The service I received from Eason was excellent. The various items I ordered arrived promptly and in perfect condition. Great sound my mini peking cymbals!!!!! I ordered a hulusi from Eason Enterprises and I am very pleased with the instrument. I did thorough research on places to buy a hulusi and Eason came in first place in terms of pricing, quality of instruments, and most importantly, attention to customers. I, like many others, emailed Sung Wah with questions about the instrument before ordering and I received fast and helpful responses. If what you see on the website isn't enough info for you, just ask! Eason Company Thanks for the good management in the shipping and in the high quality of the flute Dizi C.
I recommend buying this flute. I like to have a manual of techniques for implementation. Thank you, the items arrived in good order. The rosin in particular is excellent and has a lovely box. I will definitely be shopping with you again when I need more supplies for my ErHu. Thank you for your personalized and prompt attention. I appreciate your email checking on the service. I ordered something for my boyfriends birthday and I'm sure he will enjoy it. Great quality, fast shipping. I'm very satisfied! I enjoy the products from you very much. I will continue to shop with you. Order rec'd in good condition and appreciate for the prompt delivery. Fast and efficient service. Items exactly as described on the website A good company to do business with. My order arrived in good time and everything was just fine! Thank you very much for your very prompt delivery of the C key Dizi by XB and the Bawu in G. I am extremely pleased with both instruments. All perfect. I DO love this seller. I am very pleased with this product, and would order from this company again. Great service! Very nice service, friendly staff, amazing instrument. I had a very pleasant shopping experience, and the Pipa arrived in perfect condition. It was a gift for my wife. She loves it! I hope she takes the time to learn how to play. We already started watching the video CD. I hope to order an Erhu for myself in the near future. I would not consider purchasing from anywhere else but Eason Music! I am including a picture of my son who loves all things Chinese. He studies the language, the culture, the country. We gave him the Erhu for Christmas and he has loved learning to play this beautiful instrument. It is a well made Erhu and we are very happy with it. I can hear that he improves with each time that he plays. We love your company. Thank you Eason for having such great products. Your picks are 2nd to none, good communcation, fast shipping. The erhu case came quickly and in perfect shape. I am very pleased with your quick, efficient service and your updates by email. Every thing is great, your picks are the best, looking forward to purchasing more in the future. It is nice doing business with you. Outstanding service. Great communication. Products came as advertised. Thank you for those quality products for my Dizi. The Pipa strings were fine. They were sent quickly. I ordered two Dizi flutes. They both are very good, in tune and have a nice sound. Contacting Tan Sung Wah had been easy and his information is always correct. The flutes were sent very quickly. I highly recommend Eason Music. Hi, I am very satisfied with my order (a dizi). Very nice item thank you. I really love my new Dizi, it plays beautifully and the shipping time was really great, considering it's international. I sometimes wait for orders in my own country longer. I had a very pleasant shopping experience, and the customer service is great! I would like to have a higher Key Dizi, and a lower key, and also an Erhu. I will most definitely order from here again. I am VERY pleased! A very good flute, with a beuatiful sound. Do you offer any books on how to play? I just bought a starter grade dizi with no experience with the instrument. I purchased from Mr. Sung Wah before so I wasn't worried about reliability. When I need to upgrade my dizi I will definitely buy from him again. Excellent product. Very fast delivery. Just starting to learn how to play it well. Many thanks. Will order again soon. Good quality flutes and quick delivery as promised !! Very nice instrument and outstanding service. There were some problems caused by the shipper which they went out of their way to resolve. Love my Dizi... except Eason music sent me the wrong one!! I ordered a Dizi in D but they sent me a Dizi in C.
Apart from that, the Dizi is beautiful and I'm happy with the service. LOS INSTRUMENTOS DE ESTA TIENDA SON DE PRIMERA CALIDAD CON UN SONIDO EXELENTE Y EL SERVICIO ES RAPIDO Y SEGURO. GRACIAS TAN SUNG WAH. I bought a Dizi, and it has been delivered very fast :)) and it sounds excellent, too!! Ordered dimo for my dizi and er jiao. All arrived as described. Thanks! I enjoyed browsing your site. My shopping experience was made pleasant by your personal replies to my purchase inquiries. I received my order promptly and all was well packed and arrived safely. I look forward to shopping your website for future instrumental necessities. The new bow and rosin I ordered are of good quality. The bow is much nicer and plays better than the cheaper bow my erhu came with.I didn't buy the erhu from eason by the way. The rosin is also of better quality and easy to put on. I purchased a beginners erhu and a fine hulusi from eason.com, along with videos and accessories. I'm very happy with the instruments, I think they're beautiful! The service is excellent! The packages arrive quickly, they answer any questions I have immediately and courteously. I plan to continue doing business with them and I've been recommending them to my friends. 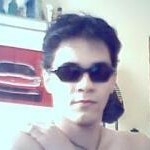 A very good profesional Dizi in D key and good dimo also. I enjoy playing with it and plan to play it in concert soon. I am very pleased with my flute not only with the instrument but in how quickly it was sent. I have been trying to find a perfect combination of rosin and erhu stings for my erhu. Some of the combinations that I have tried generate sound that turns out to be too thin in the high pitch region. At last, my favourite combination is this Thomastik-Infeld Soloist Erhu Strings with Pirastro (Cellisto Rosin). Try it. You will be very pleased. Eason Enterprises also provides a great service. Fast and reasonable price. Well done. I'm very satisfied with the black hair erhu bow. Its just what I needed after playing with a broken bow for a few weeks. I can get some good bowing and all the fancy Italian words in music. 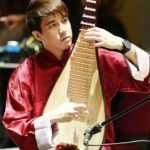 There are several options of buying Chinese instruments to be found on the net, and I believe that www.eason.com.sg is to be considered among first ones to consider when one comes to a decision! 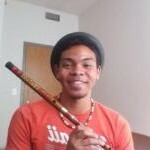 I am a hobbyist musician - mostly percussionist but quite admiring flutes too. My Dizis and Xiao are all from the company and so far i do not regret about my choice of supplier! I'll definitely enrich my set of Dizi flutes in near future. So will keep in contact!!! Many thanks for such friendly, patient and courteous communication. I am very appreciative of the excellent customer service I received as well as the fine accessories for my erhu. I am a return customer,, have been very happy with your products. Fast shipping,, and GREAT product. Thanks, I will return again soon for future purchases. EASON did a wonderful job in delivering my instrument to me and when I needed to make some changes after the purchase they acted in a speedy and professional manner. I only wish I had other dealings with them it is that much of a pleasure doing business with them. Yes it was great!! just took a little long but thats the gov. or CITES, but you guys were very helpful and I'm pleased with my erhu. It came in great condition and will only shop with you from now on. I had purchased an erhu a few weeks ago and am currently very satisfied with it. Beautiful instrument... strong spirit! When i played it someone fell off my bike and bumped his head. Could you send me the fanti/jianti zi for the poem on the flute...please no translation. I want to find out myself. I am pleased and challenged. Just wanted to thank you for sending the rubber tubbings. Could not find them anywhere. Grateful that your company exists so that people like myself have a source to go to. I had ordered a dizi in the key of G. Great price, great item, and very easy to handle. 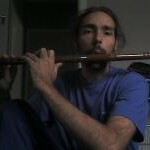 I am a beginner and had found that the Dizi is a great flute to start with. At first I was horrible at playing, but the Dizi's sleek handling and beautiful tunes were easy to figure out and manage. I would recommend a dizi flute to anyone who wants to take up an instrument that's easy to learn and sounds beautiful with unsurpassed quality! Thanks for the great picks. Almost too good to be true. I'm happy for a good transaction about your store. Fast shipment and attention. Instrument was quickly delivered and safely packaged. Online videos were very helpful for using the instrument. Very pleased with me purchase or the dizi in the key of G. Took me about a day to be able to get the right pitch to come out, but once I did there was no turning back. I find it very easy to pick up and play. Excellent order, received within specified time and in perfect condition. The dizi that I received was in great condition and great quality. Shipping was good, and customer service was amazing! Great people to deal with and always the highest quality products. I'll be doing business with Eason in the future! Have made several purchases from Eason and have consistently been delighted with both the products and service they offer. Their communications with customers is the best of any internet seller I have worked with. I highly recommend Eason Enterprises. Yes, thank you, the Guzheng strings arrived ten days or so ago -- I haven't yet had the chance to put them in but I'm very happy to have them. It was very nice dealing with you, I appreciated the quick feedback when I had questions. Often when shopping on the internet one feels there is no one there, and it's great to feel one is dealing with real people who will respond to questions. Everything was great. Thanks for checking! We received the pipa in good condition although it took a little longer. Very fast service, great product! The Hulusi took several weeks to reach us, but it arrived in excellent condition. I would and will recommend this company to my friends and associates. The shipping experience was as good as it gets. I purchased two concert quality flutes and they are magnificent. I have purchased several items from Eason enterprises, and have always been pleased with their products and services. Thanks, I will be placing more orders in the future. I bought a dizi from Mr Sung Wah and I like it very much. Beautiful and very easy to play, my dizi is my favourite instrument. I will buy a guzheng because it's one my favourite instruments. Thank you Mr. Tan Sung Wah. The picks I ordered got to me in a timely manner and I am very pleased with them. They really sound and play beautifully. Thanks so much for the great product. These are the best picks. THE best. You just can't get these picks anywhere. The gong is just right. It arrived in time for giving as a Christmas gift hung on an antique frame that I had bought. I think you guys are wonderful! Everything was great with the order! 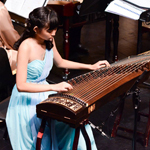 I purchased the Dizi for my daughter who is a music major at University of Massachusetts and she was thrilled with it. It was great transaction, and the item is excellent. I gave it as a Christmas present to a friend, and she was very pleased. The musical instruments are of great quality at good prices and I enjoy them a lot. The caring business attitude of Eason Music provided a very pleasant international transaction experience. I look forward to doing business with Eason Music in the future. These are some nice plectrums. I've used all kinds and these are the best you can get. Friendly service, fast shipping and good product - highly recommended shop! I'm very happy with the Erhu Bridges. Good products, fast delivery. Wide range of products, and good descriptions of them. My wife loves her Birthday Erhu present! Everything arrived in great condition to the USA!! Thanks you so much. Sorry, I still don't have a photo with me and the Eason items. But I'm very satisfied and happy with the drum and cymbals I purchased. I feel they are a great addition to my percussion kit. I'm an improviser. I develop activity in the improvisation area out of conventional jazz. And I love Asian percussion! Thanks! You guys are fantastic! Thank goodness I found you. You are my answer to all my asian instrument needs. Speedy to ship, friendly talk to. And I love all of your instructional videos. A wonderful company I highly recommend!!! My erhu bow exceeded my expectations, made a tremendous difference in my tone. And the price was great! I can play anywhere, anytime now. Also very fast shipping! Eason Enterprises has consistently been a very good company to order from. My experience have showm me they have a high regard for honoring customer requests. I am so pleased with your service! I did recieve my Erhu and I love it. Thank you for your wonderful and kind emails including instructions on how to play this intrument, although I could use some more instruction. I received my QianJin string quickly and found the instructional video very helpful. I love the Xiao flute! It has been harder to learn to blow than the Dizi, but fun. This company is always very helpful and communicative, answering questions and giving helpful hints. I would never hesitate to do business with them. My roommate told me about this instrument, and I didn't hesitate to look for this instrument. Of all the places I've searched, Eason was the only place where I could buy it cheap, and in professional tone and quality. I learned it is a reed instrument, and that was good because the first time I blew into it, there was a weird sound to it and got worried. It is in great condition after about a month's play, it was more than I expected it to be, and a very fun instrument to learn. How much air you blow into it is very important too, but its easy to pick up once you actually play it. Thanks again Eason. If only Hulusi music were easier to find. I would just like to thank you for the prompt shipment of my items, the accuracy of the shipment and the professional manner in which everything was executed. I am quite pleased with the products I have purchased, and I shall continue to order from this source in the future! 4300 year old erhu bridge made a massive difference to the sound of my erhu. Hey guys!! You are the one of the best Chinese musical instrument sellers in this world. My order arrived in perfect condition. I will order from Eason again. My next order will be an erhu or guzheng. I am ecstatic to have finally received my Pipa! It was inexpensive, high quality, and shipped within reasonable time. As a first time buyer from Eason, I can confidently say that I am pleased with their reliable service. I am looking forward to learning this instrument and enjoying its music for many years to come! I ordered 3 instruments from Eason and all arrived well-packaged, in excellent condition and ready to play. 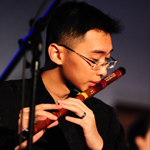 Eason provided additional advice on video and in the form of links to further information about each instrument and Chinese music in general. As a frequent buyer of musical instruments and other goods online, I can recommend Eason as a trustworthy supplier that gives you that little extra. I had a pleasant shopping experience. Excellent communication, product and service. Great service. Postage was good too. Always a bit worried about ordering from overseas but absolutely no problem here. The flute I received was of good quality very well made. Brilliant considering the price. 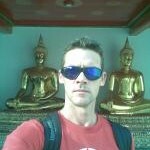 Three transactions, very happy each time! (northwind bluegrass band) I am on the right with blue shirt! First of all: Eason Enterprises got the best deals on the net for Chinese musical instruments that also have the highest quality! Also, Tan Sung Wah provides excellent customer service and. A combination of all of the above is very rare and hard to find these days. I bought myself a beginner Erhu, but I still was stunned and amazed when I received it at how much quality you actually get for your money (as stated on the website). The delivery was also super fast. I Highly recommended this company, it's the real thing! And, I will definitely come back for more business here in the future. Hello, my name's Barry Chapman and I live in Bradford-on-Avon in the UK (Europe). 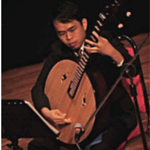 Recently, and by accident, I heard some very beautiful music played on the Pipa, the Chinese 4 stringed lute. I was immediately captivated by the expressive depth of the melodic line. What a dream to play such an instrument! However, it is virtually impossible to buy a Pipa in the UK, so I was very fortunate to find the Eason Enterprises web site. But I was very hesitant to buy from such a distance. Nevertheless, I did make a few email enquiries of prices and delivery times and on each occasion received a very prompt and complete reply. Consequently I had the confidence to make a purchase and was very pleasantly surprised at the efficiency and promptness of the delivery. After only seven days a securely packaged Pipa arrived at my door. Thank you Tan Sung Wah. I recently received my Concert grade Erhu (Ming Qing by Wan Qi Xing) a few days ago. Quality is very good and the instrument is very easy to play although I'm only a beginner. 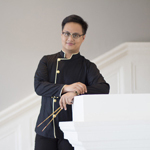 Tan Sung Wah has also provided online videos to help with technique and setting up the instrument, this has helped me a great deal and I'm already able to play several scales in different positions. I ordered the Wang Qi Xing (HEH37) Erhu from Sung Wah. The delivery was very fast and reliable. I learned every day from this lovely instrument. It has a beautiful and clean voice. The playability is amazing and I can't feel any limits at this time. The bow feels so good in my hand and connects me nearly perfectly with the strings of this Erhu. I'm really satisfied with my new Erhu. I've got more than what I have paid for. I got my first flute from www.eason.com.sg. I think its the best flute I can ever get. My dizi came quickly and in good condition. I am not an expert, but it seems to be of good quality. I really enjoy playing it! A very long time ago, me and my wife who was pregnant with our daughter, visited a botanic garden in the northern part of Netherlands. It has a Chinese garden and tree-house and as we walked through the garden, some music caught our attention. It was some oriental music, just what you could expect in a Chinese botanic garden, most likely coming from a CD player. But the music felt stronger, deeper, moving. Even our baby reacted to it. That hadn't happened in the supermarket before. We found a woman, playing a chinese instrument. We were really hypnotized, but it was a completely unknown instrument to us. She spoke no dutch, but she spoke with her music. Pity i didn't buy her music, or find out her name. Now, years later, my daughter gets facinated by Anime, and discovered that she needs the sound of the erhu to be happy. Its an instrument that understands her, calms her and belongs to her. This music that she heard at the botanic gardens while in her mother's womb must have had a great impact on her. We subsequently bought an Erhu and a Dizi from Eason Enterprises. I have read a lot of compliments on the way Tan Sung Wah does business for Eason Enterprises. And true enough, from my own personal experience, we enjoyed doing business with him. I am happy that he answers our questions promptly and delivers as promised. He has humor as well and I like that!! I highly recommend this guy!!! Eason (Sung Wah) provides prompt and professional services. He would address your questions with clear explanation as well as suggesting alternatives that suit your demand. I am currently in Texas, USA and my erhu took approximately two week to reach here from the day I placed my order. The packaging was tied and safe; the erhu arrived with perfect condition. I would definitely recommend Sung Wah for first time online instrument buyers, especially those who live in the Western countries. I purchased a dizi, Chinese bamboo flute, from Mr. Sung Wah Tan of easons.com.sg recently. The whole process from ordering to receiving the flute was effortless and enjoyable. Mr. Tan states that shipments to the USA take 6-12 business days. I was delighted to receive my flute on the 7th day. It came in a hard cardboard tube with both ends of the felt bag encased flute securely bound in bubble wrap. This kept the flute from bouncing around in the tube. Plus, one end was stuffed w/ paper. The flute arrived in perfect condition. 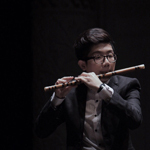 And the instrument, a Master grade flute made by Master Dong Xue Hua of China, is a work of art. Communicating via email with Mr. Tan was fast and thorough. I highly recommend Mr. Tan's services from www.eason.com.sg. I bought a Dizi made by NTS. The instrument is wonderful, the tone is full and rich, well tuned and beautiful. And the price was incredibly low! I will buy more dizis in different keys, and I will use Eason again. The service is ultra fast, my emails was answered so fast that the reply to my emails was already in my inbox before I logged out. We had some problems with the postal service in Singapore, but that was dealt with by Sung Wah personally. 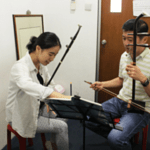 I purchased a 'house brand' Erhu from Eason Enterprises and was impressed with both the quality of the service and the quality of the instrument. When they noticed a defect in the Erhu shortly before shipping I was informed by Sung Wah that they would upgrade me to a better quality Erhu at no extra cost! I have no hesitation in recommending Eason as a knowledgeable and attentive retailer. I believe that, in music business, the most important thing we have to consider is whether the person in business possesses his own great love and interest towards music. That is what I see from Eason Enterprise. From every little touch of Eason's website and Sungwah's blog, I can read his great zeal and affection towards the music, and from every little step of my experience with Eason, I feel his effort and sincerity towards the business. This is why I got my first Erhu from Eason and since then, how Eason has become my sole supplier for everything with my Erhu. So, I am saying, with great confidence, that if you are looking for the most reliable and friendly companion for your music life, Eason is the one. I was very happy with high quality and impressive sound of the Zhongruan I purchased from Eason Enterprises, and especially appreciated Sung Wah's expertise and helpful customer service. He was always willing to answer the many questions I posed over the course of weeks. He even sent video recordings of the two types of Zhongruans that I was considering to buy which greatly helped my decision. The instrument arrived in the U.S. completely undamaged and in very good time. I have since purchased smaller items (opera drum, Peking cymbals) and have been equally happy with the quality and service. I strongly recommend Eason for high quality traditional Chinese instruments. I highly recommend Eason to anyone wishing to buy an excellent Chinese instrument at a very good price and from a really concerned seller. Sung Wah is a very nice and helpful person. He helped me chosing a Dizi, and kept in touch all process long: ordering, shipping, receiving. The Dizi is really wonderful, it looks great and sounds perfectly. I will buy again from them without any hesitation. I ordered my Erhu directly from Eason and could not believe the customer service. I had many questions and several concerns in regards to shipping the Erhu into Canada. All of my questions were answered directly and the Erhu arrived on time and in great condition. I plan on buying again from Eason and only hope that my Customer Service Rep is Tan Sung Wah...thanks for our patience Tan in responding to my stack of questions. Great company, great instruments fantastic people! Meine Bestellung wurde sehr schnell bearbeitet und geschickt. Alles war perfekt. Ich bin sehr zufrieden bei Ihnen gekauft zu haben. Thomas Schmidt, near Munich, Germany. 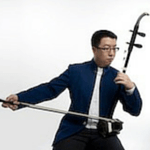 I was very happy with the process of purchasing my Erhu from Eason enterprises. Throughout the buying process everything was remarkably efficient, much of which is thanks to the valuable assistance the seller provided in my emails where he answered all of my questions. I was grateful also for the pride and care he takes in selling his products- he even ordered another Erhu for my purchase because he thought the one he had in the shop was not up to his standards. The speed of the shipment was the biggest surprise, I received it in around 5 days even though I presumed it would take twice the time to get to Australia. Eason is one of the few reliable international sellers I have had business with. Eason Enterprises is not just any business that wants to sell a product for money, but one that wants you to be happy as well. Sung Wah is amazingly helpful and fast with information, He will show you what is good for you and not just because it is the most expensive one. The products I have bought so far have been of great quality, Also expect competitive prices in this kind of market. As for delivery from so far away it is speedy. I will buy from Eason again with no worries. Depending to me, Eason is the best seller of erhu on the web. Why ? At first for the quality of products : Tan Sung Wah loves this instrument, plays it as well. As a second point, the quality of service : a mail when the package is shipped and ever a mail several days later to know if the package has been received. Kindness of Tan Sung Wah is a plus. For all european customers, erhu is accessible via eason. You can trust!. Well I'm really happy for have done business with you . Good prices, great items quality and excellent shipping make me keep you in mind for doing future shops. One thing I like from your site is the highly detailed description on every item, so you know what exactly is and if it's recommended for your skill level (about musical instruments). The Erhu bows and bridges are of high quality. The mute is priced reasonably. There are also a wide variety of choices. Delivery is fast and safe. I will definitely buy again in the future. I am rather grateful to Eason for prompt delivery of a gift (Chinese musical instrument) and responsiveness at the solution of problems with local mail services. The recipient was very much pleased with this gift (http://www.liveinternet.ru/users/annamain/post55922612/ - in russian). I'm a musician and this is the first time i have ordered from Eason. i was searching for chinese percussion as i like to collect unusual sounding instruments. i am chinese and am fascinated by the percussion used in chinese opera. i was great to find Eason, very good service. very quick and it was good to be notified that my parcel would be a bit late which did not bother me. The only down side is that I'm in the UK. so delivery costs can be a bit much. but overall very good. thank you! Tan Sung Wah of Eason Enterprises is a very helpful and reliable person with whom to do business. Items ship fast, questions are answered immediately, and he even goes out of his way to find products on request. The online store is easy to navigate, and constantly being updated. It's not often one finds a store with such personal communication, where the seller is truly interested in the buyer's satisfaction. 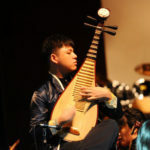 I recommend Eason highly to anyone interested in Chinese musical instruments! The delivery arrived quickly and safely. If I need something for my Dizi, I definitely will contact you again. Thanks. I am very impressed with the service I have received here. I had no trouble locating an item that was giving me difficulty to find before, and it was provided at an excellent price as well. I would not hesitate to do business here again! The Erhu package arrived last week on Friday, safe and sound, and without any problems. Everything checked out ok, and I'm very happy with the Erhu. Thank you so much for your help. I've told my music class-mates about your store. If I need any other musical instruments, I definitely will contact you again. Thanks. The Erhu arrived fast and safe. It's a beautiful instrument and sounds wonderful. The product descriptions were helpful and clear, so I knew exactly what I was buying. Also, the online purchase was quick and straightforward with absolutely no hassle. Best of all, the delivery time was very quick and the items arrived in perfect condition. All in all, a very friendly and satisfactory service. Eason provided me with good service during the duration of my order! All my questions were answered articulately; the staff was specially helpful. I recieved my Chinese Dizi flute in fantastic condition, complete with the rice paper and paste. The online videos were also helpful in teaching me how to set up the accessories for the flute (If you want to reference the youtube videos! :) ). Good job! It was a great experience shopping from eason.com.sg; the service was fast, the store maintained constant communication with me throughout the process so I knew what was going on until my shipment arrived, and they are always ready to personalize your orders for you. Definitely a recommended and trusted source for my Erhu needs! 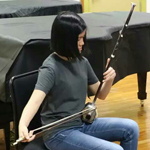 I am pleased to say that Sung Wah at Eason Enterprises was exceptionally helpful in choosing the erhu that was right for me. The knowledge and great customer service was greatly appreciated. I always recieved a fast reply when I sent questions via email. When I'm ready to upgrade to another Erhu, I'll be shopping at Eason! I received the items as was described, and thanks to your online videos I successfully stringed my Erhu up and tied the Qian Jin. Excellent service, I will definitely buy from you again and recommend you to others. I am pleased to say that Sung Wah at Eason Music was exceptionally helpful in choosing the Erhu that was right for me. The knowledge and great customer service was greatly appreciated. I always received a fast reply when I sent questions via email. When I'm ready to upgrade to another Erhu, I'll be shopping at Eason! Eason Music is a very reliable company. Friendly service, timely shipping, and beautful products. These are people who keep their promises, and know the meaning of excellence. It has been a pleasure to deal with Eason Music. The instruments are very good quality, and the prices are very reasonable. I had a good experience with the customer service, and the shipping of the instruments were handled perfectly. Eason Enterprises has a wide variety of Chinese musical instrument. Although so far I've only got myself a beginner Pipa, I am very certain that in time where I need to upgrade, I will still buy from Eason Enterprises. They have experts to give quality advices and to even show you the differences between the instruments, to suit customer's need. I have been dealing with Eason since the very start of my Erhu training. They have always been eager to go the extra mile to help me as a customer. Eason found for me a rare book on Erhu playing, delivered every order very fast (from Singapore to Canada), as well as gave me some priceless tips on improving the sound of my instruments. They sold me a marvelous aged rosewood Erhu, the sound of which surprises many of my professional Erhu playing friends by its richness and its warmth. Eason has become my favorite supplier of Asian musical instruments and supplies. They care about you, they care about your needs and they care about good musical instruments and high quality supplies. Outstanding international seller, very highly recommended! I received my HEH22 erhu from Sung Wah and am overjoyed with it. It has a beautiful earthy tone. This is my first erhu, but it was easy for me to get started using my HEH22. I simply love it, and am doing videos with it on Youtube. I recorded my first song which came out perfect. I couldn't ask for more for my first erhu. I like Sung Wah's service at his online store, and he is very attentive and courteous to me as a customer. I will continue to deal with him because I like his customer service and his instruments. The Pipa I ordered from you is my daily companion - there is no day passing by without playing some tunes on this wonderful instrument! 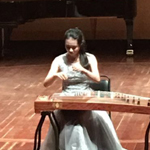 I hope that your efforts in promoting information about Chinese musical instruments will never stop, so that your place will be known as a reliable source for both high quality instruments and supporting information.